USAID has unveiled an action plan, Acting on the Call: Preventing Child and Maternal Deaths, to save the lives of 15 million children and nearly 600,000 women by 2020 - a milestone in President Barack Obama's goal to join the world in ending extreme poverty, hunger and child death in the next two decades. 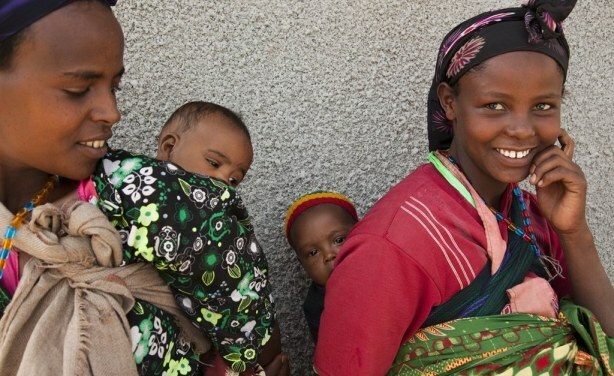 Mothers with their children at a health post in Ethiopia. Africa: USAID and Partners Unveil New Efforts to Save Child and Maternal Lives At Acting On the Call - Ending Preventable Child and Maternal Deaths Forum June 25 in Washington, D.c.